Breeding only the best to the best. 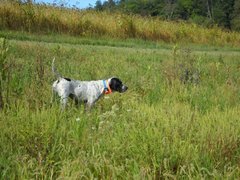 We require all of our dogs to be accomplished in the field prior to breeding and also exhibit a sweet calm demeaner around the family. 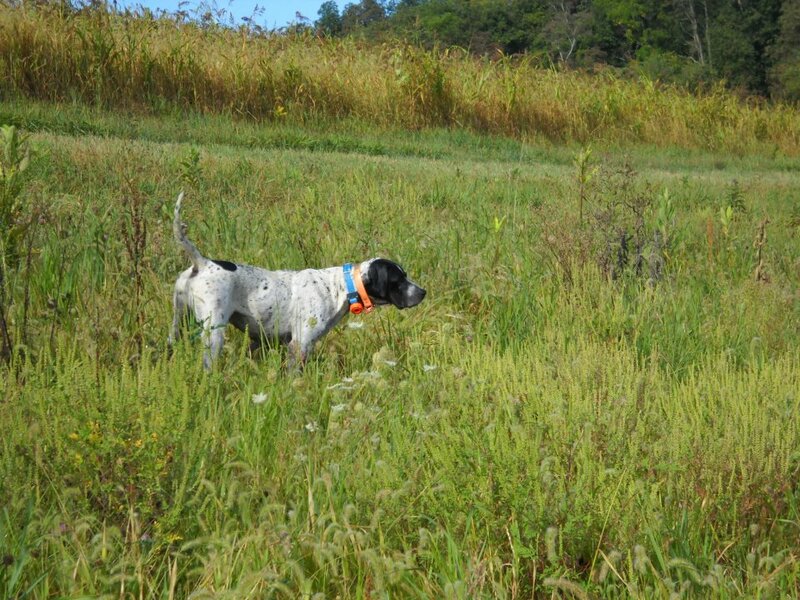 Each dog that we use in our breeding program is a complete bird dog in every way and has shown all of the qualities that make them worthy of breeding from the time they entered our program. 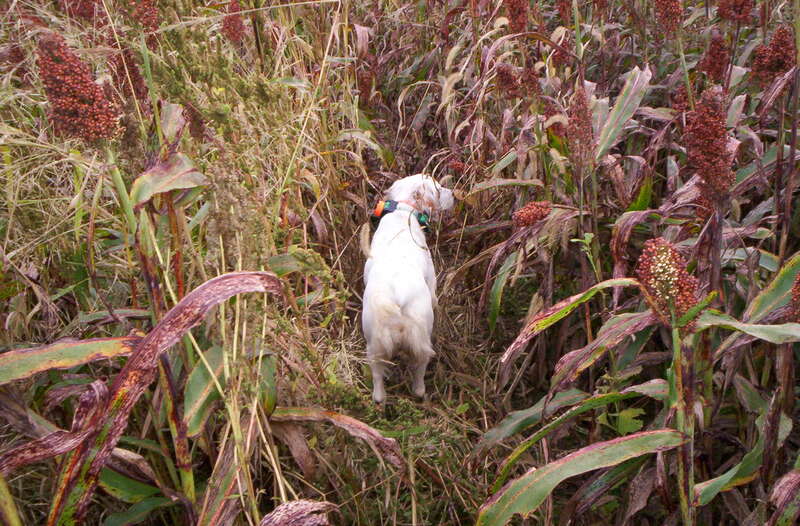 Each dog came into our program and must first show the desire to retrieve and back naturally. 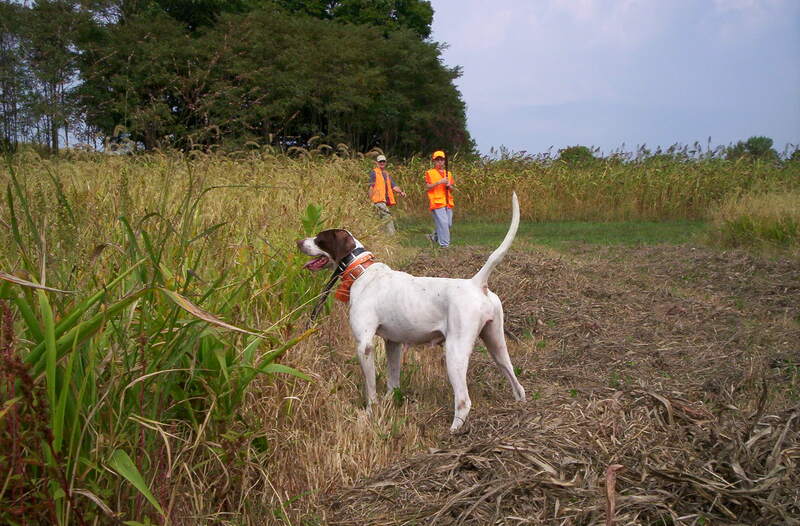 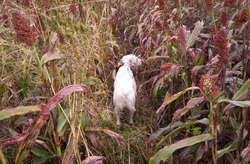 Each dog has shown exceptional hunting skill on various wild birds which requires them to have a great nose and to be smart, biddable, and adaptable. They must also be of exceptional health, conformation, and exhibit a personality that will make them a respected member of the family. 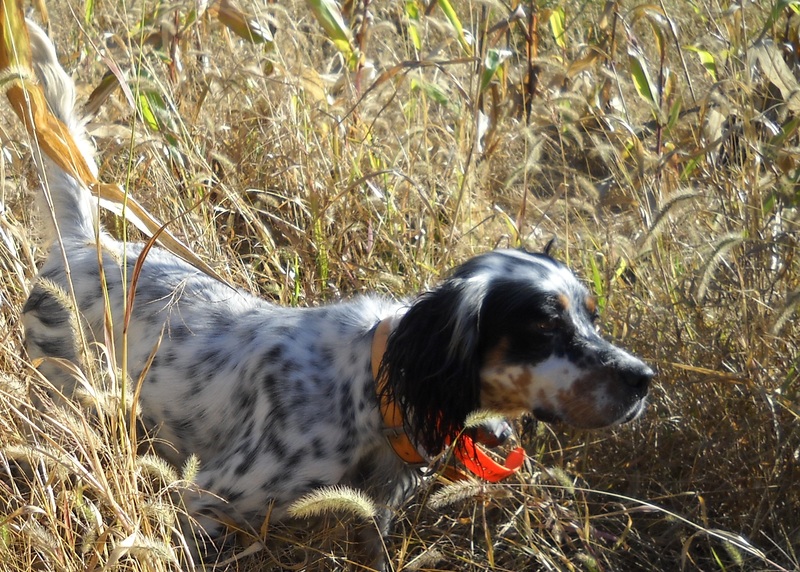 These dogs have hunted and handled wild pheasant, ruffed grouse, prairie chicken, huns, quail, chukar, and woodcock across the United States. 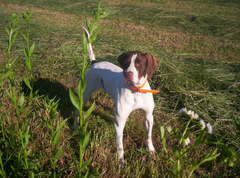 Each is also a respected member of our family and can sleep beside our bed each night. ONPOINT ELHEW ELVIS (ONPOINT CHASE X ONPOINT ELHEW GABRIELLE) Elvis is the finest of Elhew Strike breeding with six of eight legs of his pedigree being sons or daughters of Strike. 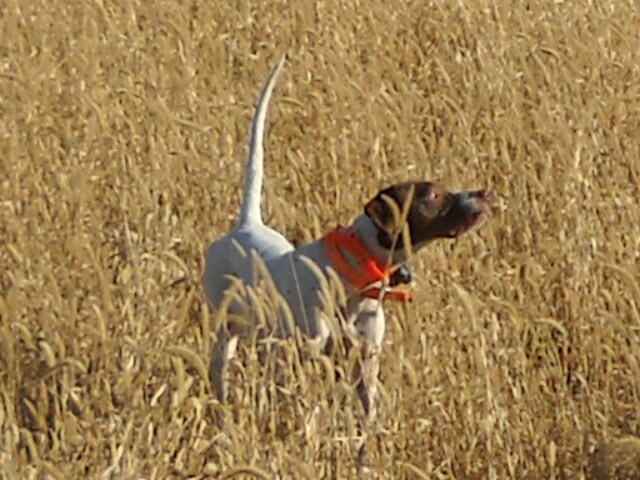 Elvis is throwing consistent pups with good leg, brains, and biddability. His pups have great natural ability, back and retrieve naturally, and make super family dogs. 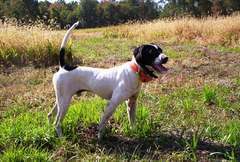 Elvis is some of the finest Elhew McGoo and Elhew Sea Wolf by Elhew Strike blood that you can find anywhere in the country. 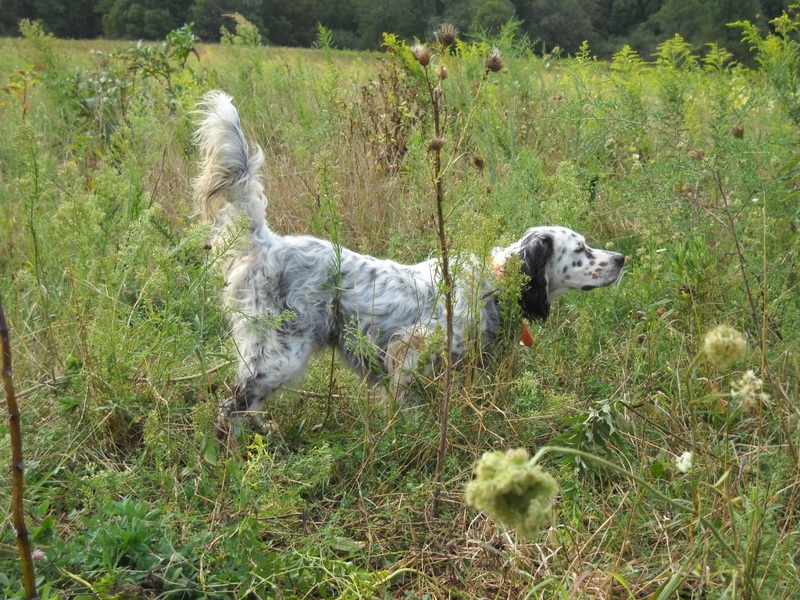 ONPOINT ELHEW GABRIELLE ( ELHEW DAMASCUS x MISS ELHEW JAN ) Gabby is a foundation dog of our kennel. 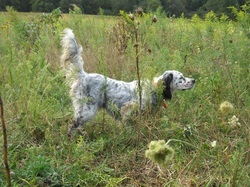 She is the pick of the litter of the very last litter produced naturally by Elhew Damascus. 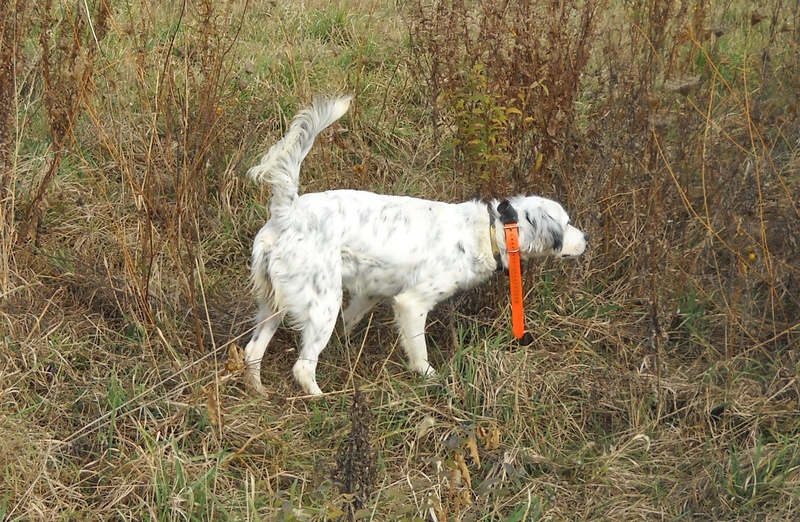 She is the pick of the litter from the litter that produced Elhew Gold and Elhew Abilene. 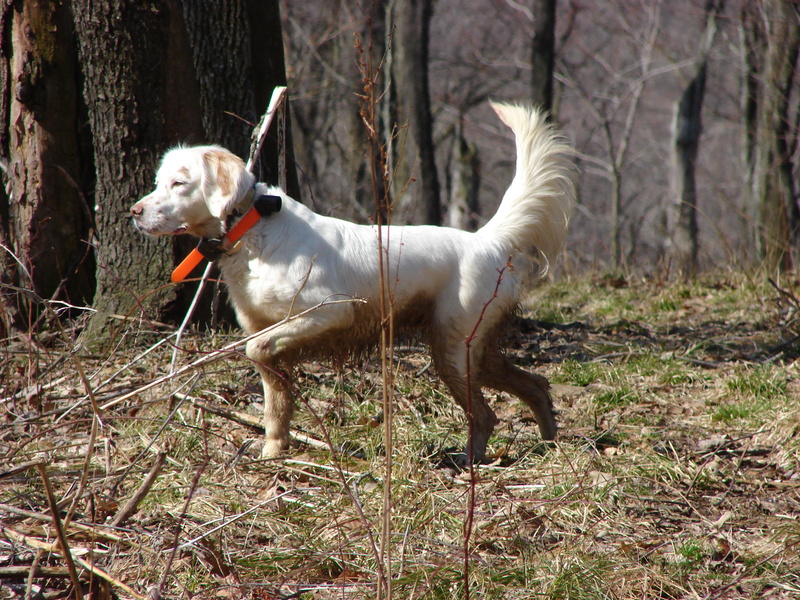 Her double bred McGoo type breeding is represented throughout our kennel and continues to produce outstanding wild bird dogs. 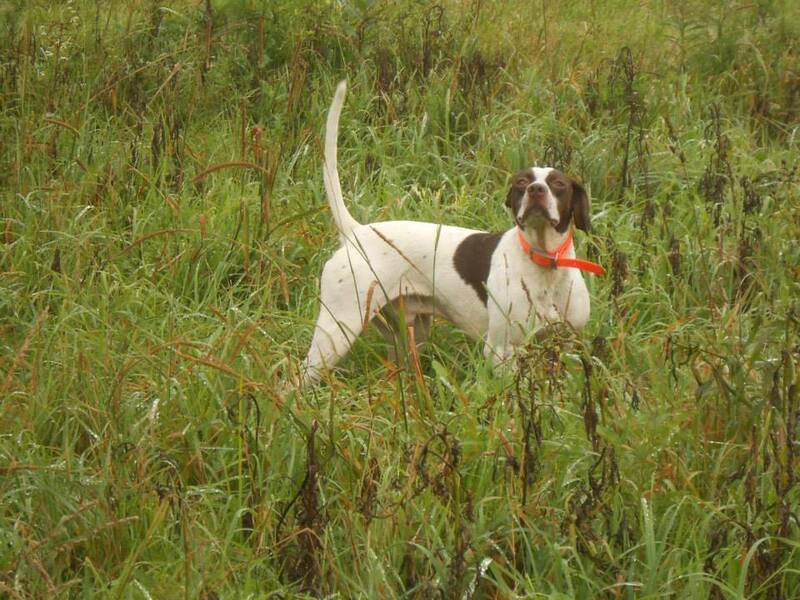 ONPOINT ELHEW JAKE (ELHEW GENERAL PATTON X HCK ELHEW DESTINY) Jake is a direct son of Elhew Kennels General Patton and a daughter of Elhew Distinction. 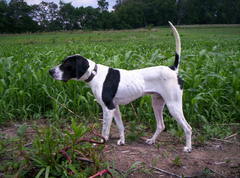 Jake is a super young dog with a sweet personality and good manners around birds. 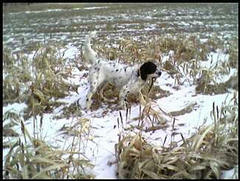 He is calm in the kennels but a real hard charger in the field. 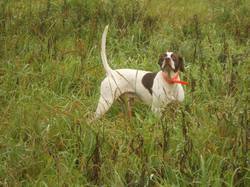 He has a great nose and super natural ability. 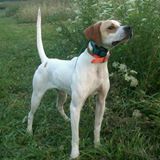 Jakes grandparents are Elhew Royalty, Elhew Scooter, Elhew Distinction, and Elhew Dixie Chick through Fibber McGee, Discovery, Snakefoot, and Hobo. 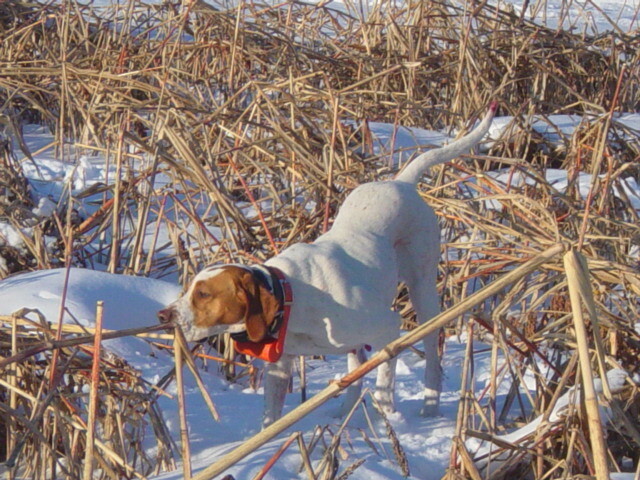 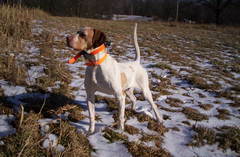 He is a fine example of an Elhew English Pointer. 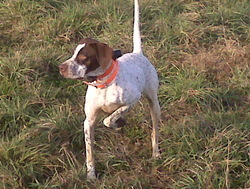 ONPOINT ELHEW MOJO (Ch. 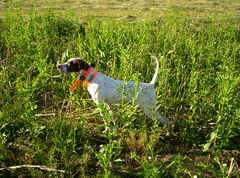 Elhew Explorer x Elhew Sea Coral) Moe is one of the finest Elhew English Pointers in the country. 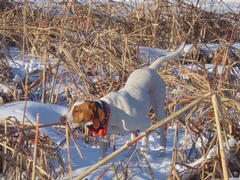 He has been featured on the cover of the Pointing Dog Journal (Jan/Feb 2013) and is a 60 lb. physical specimen. Moe is a direct son of Elhew Explorer and Elhew Sea Coral. 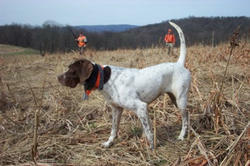 You will not find a better breed Elhew Pointer anywhere in the country.